This map plots evacuation routes from the island of 2070. In this future world, countries and nationalities are obsolete and Earth has been recolonized according to degree of technology usage. Time is plotted like geography and individual regions are now separated by decades. Where would you go? 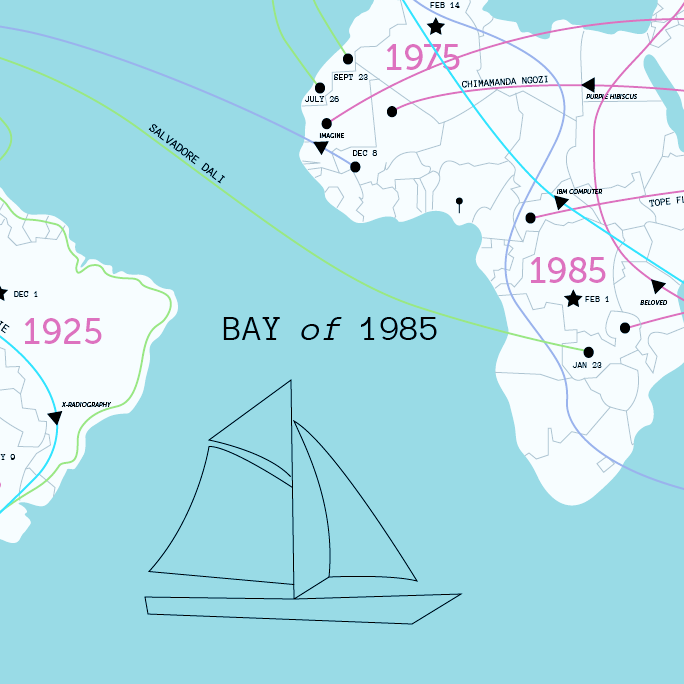 Encryption: See you in the Bay of 1985.